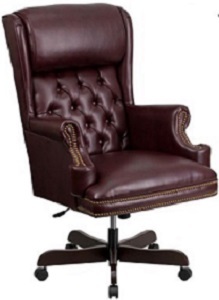 Most desk chairs are made from top-quality materials, combining leather, wood and fabric into sleek professional pieces to suit any executive's taste. 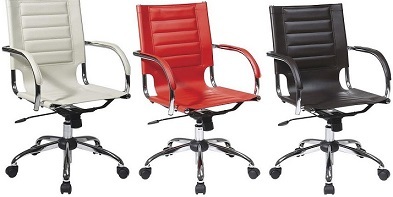 These desk chairs rest on sturdy bases with rolling casters, allowing executives to move freely around the workspace. 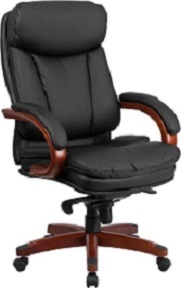 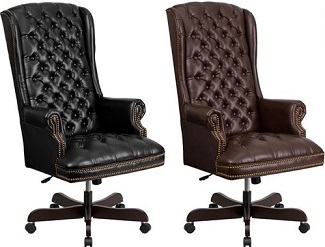 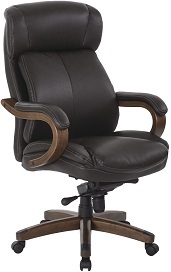 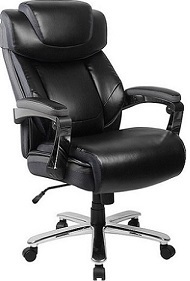 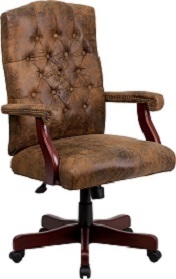 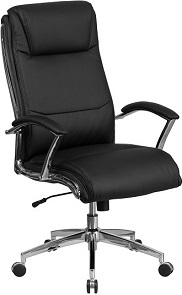 All executive office desk chairs also come with quality armrests, easing strain on the shoulders and upper back. 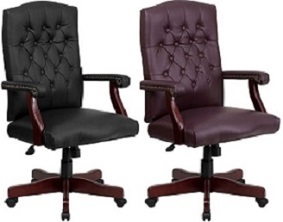 As they are top of the line pieces, executive office chairs also feature supreme ergonomic comfort and can be upholstered in executive leather for a classic, sophisticated look. 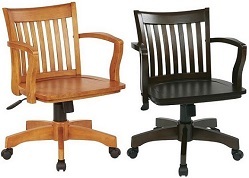 With thick padding and cushioning on both the chair seat and back, you'll sink into supportive comfort in these chairs. 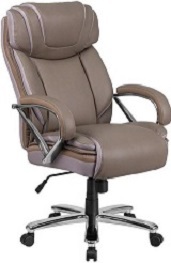 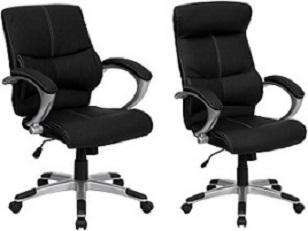 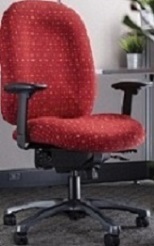 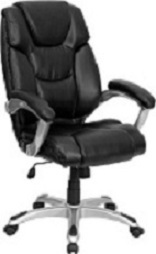 Most also feature such added pleasantries as lumbar support, adjustable armrests and seat tilt options. 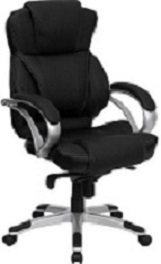 Some models may also include adjustable headrests and adjustable width armrests for an ideal ergonomic set-up. 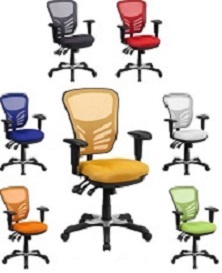 At Office-Chairs-Discount.com, we realize that people all come in different sizes, shapes, weights and heights. 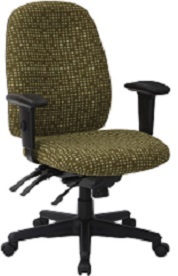 Because of this, we offer a full big and tall office chair line, which features full support for taller, bigger individuals. 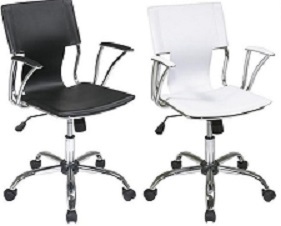 These desk chairs, as well as many others, can be easily evaluated by browsing our convenient online selection of products. 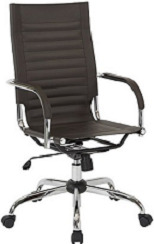 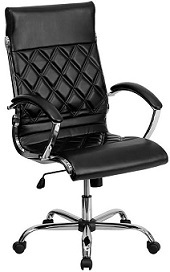 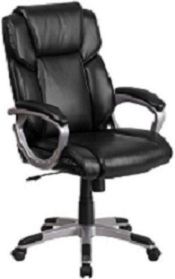 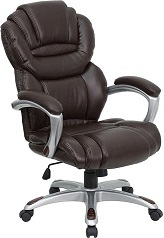 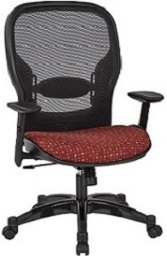 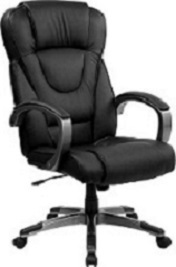 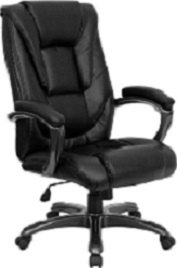 At Office-Chairs-Discount.com, our full inventory features every kind of executive office desk chair imaginable, with discounted prices on all chairs. 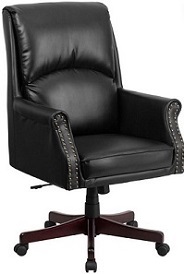 Feel free to contact us to learn more about our discounted executive furniture and free-shipping options. 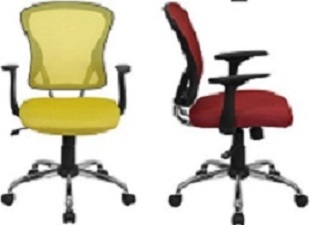 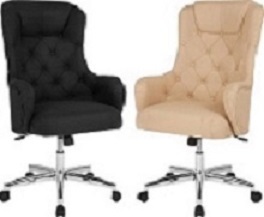 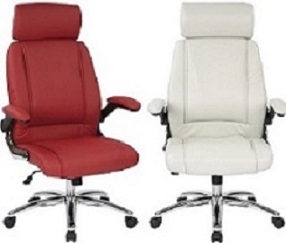 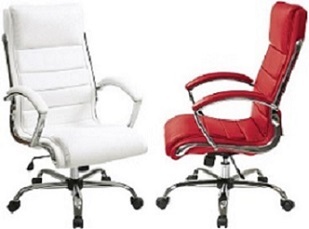 We're also happy to offer you our volume discount should you wish to purchase office desk chairs in bulk.